Home / Daily Dose / Which Three States Have Ended Veteran Homelessness? Homelessness among veterans is declining, according to the latest data released by the U.S Department of Housing and Urban Development (HUD) in its annual Homeless Assessment Report. The total number of veterans reporting homelessness in 2018 decreased by 5.4 percent since last year, the report indicated, falling to nearly half of the number of homeless veterans reported in 2010. According to the report, 64 communities and three states have ended veteran homelessness. They include, Connecticut, Delaware, Virginia. The point-in-time estimates data reported by HUD indicates that the number of persons experiencing homelessness in emergency shelters, transitional housing programs, and unsheltered locations, 37,878 veterans experienced homelessness in January 2018, compared to 40,020 during the same period last year. These numbers were announced by HUD Secretary Ben Carson and U.S. Department of Veteran Affairs (VA) Secretary Robert Wilkie. Of the total number of reported veterans experiencing homelessness in 2018, HUD revealed that 23,312 veterans were found in sheltered settings while volunteers counted 14,566 veterans living in places not meant for human habitation. The report also indicated a 10 percent decline among female veterans experiencing homelessness. At the beginning of the year, local communities had reported 3,219 homeless female veterans compared to 3,571 vets in this category last year. HUD and VA, together, have recently taken steps to help more veterans become homeowners, through Home Together, a new federal strategic plan to prevent and end homelessness. Speaking about these initiatives, Matthew Doherty, Executive Director of the U.S. Interagency Council on Homelessness said that working together at the federal, state and local level, "we can and will continue to make progress until all Americans have a stable home from which they can pursue opportunity." 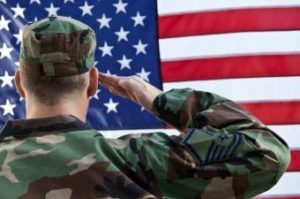 Apart from the federal program, the housing agency's HUD-VA Supportive Housing (HUD-VASH) Program has also been working towards decreasing veteran homelessness. The program combines permanent HUD rental assistance with case management and clinical services provided by the VA and is complemented by a continuum of VA programs that use modern tools and technology to identify the most vulnerable Veterans and rapidly connect them to the appropriate interventions to become and remain stably housed. According to HUD, more than 4,000 veterans, many experiencing chronic forms of homelessness, found permanent housing and critically needed support services through the HUD-VASH program last year. An additional 50,000 veterans found permanent housing and supportive services through VA’s continuum of homeless programs.